The 1995 reform has tended to confuse the boundaries of the Public Health Service in the minds of citizens. To some, “Public Health Service” would seem merely a collective name applied to 50,000 health professionals serving within the HHS agencies. The uniformed Commissioned Corps, however, remains a distinct entity within the nation’s health programs. More broad based than ever, it commissions not only physicians but 10 other categories of health professionals, including pharmacists, dentists, nurses, engineers, scientists, veterinarians, sanitarians, dieticians, therapists, and health service officers – the last a diverse, catch-all category that includes social workers, podiatrists, administrators, and computer scientists alike. The Commissioned Corps’ role in the 2014 Ebola outbreak, Hunter said, has increased the interest, among many other agencies, for the expertise of its officers. According to Rear Adm. Joan Hunter, Director of the Commissioned Corps’ Division of Personnel and Readiness, these specialists are commissioned to serve in places that many Americans might find surprising – some serve overseas in public health initiatives, attached to the Department of State or Department of Defense. They’ve been involved in responses to a variety of crisis situations, including the 9/11 attacks, Hurricane Katrina, the 2010 Haiti earthquake, and the tragic mass shooting at Umpqua Community College in Roseburg, Oregon, in October 2015. 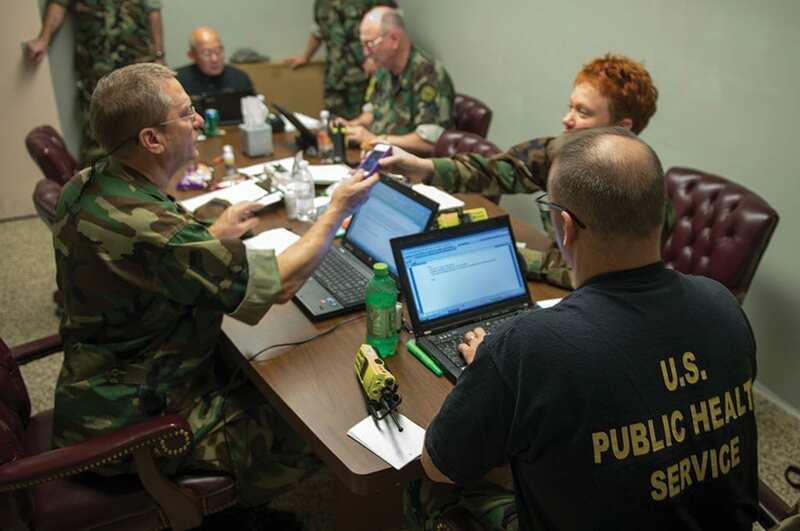 More than 30 Commissioned Corps officers responded to the water crisis situation in Flint, Michigan, that came to a head in the summer of 2015, assisting with behavioral health training, supporting volunteers, and staffing the county health department’s information line. Commissioned Corps officers received rare public notice in the summer of 2014, when they were the only government personnel to provide direct medical care to patients during the Ebola outbreak in West Africa. 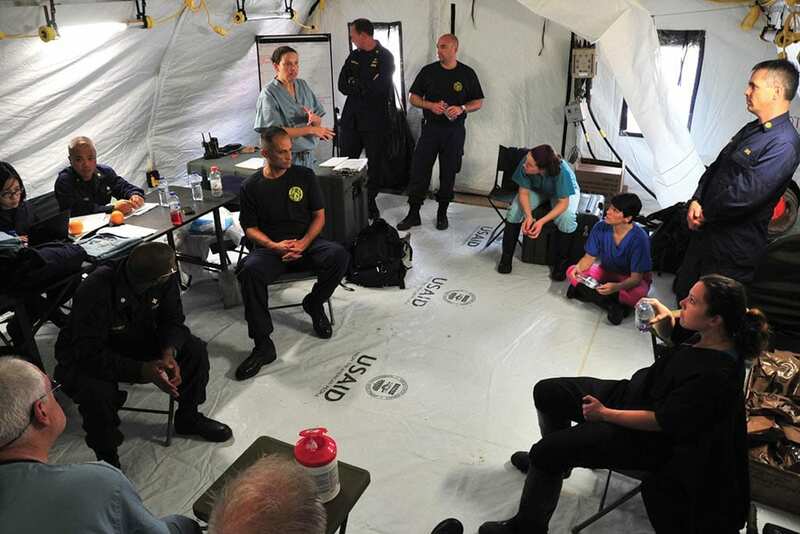 For nearly six months, officers within the Commissioned Corps treated health care workers who might have become infected with the Ebola virus while responding to the outbreak. The Commissioned Corps’ role in the 2014 Ebola outbreak, Hunter said, has increased the interest, among many other agencies, for the expertise of its officers. Hunter previously worked with the National Guard, for example, to expand its state-centered partnerships in health care, which target under-resourced countries in the world, into a program with an international service component. Most people in the PHS have chosen the civil-service option of employment. Commissioned Corps officers are subject to report to duty 24 hours a day, seven days a week, and must be in an official duty status at all times. So why would anyone decide to join the uniformed Corps, with its exacting standards for admission and service? There are several reasons, said Trent-Adams. For one thing, many young people are reluctant to embrace the increasing trend to specialization in health care’s private sector. The Corps offers a career that’s broad and varied, rather than stovepiped. “There’s a diversity of opportunities in the Commissioned Corps,” said Trent-Adams, a former Army nurse who keeps her clinical skills sharp with regular service at Walter Reed National Military Medical Center.